Just like the challenges that Civil Engineers face around the world, building a bridge with limited resources yet demanding strong construction, also needs great teamwork. With paper straws, string, card and a limited amount of cardboard and metre rules, the challenge set during the final week in school by Ms Bullock, teacher of Science, required all of these attributes. Once completed, students and staff voted on which they thought was the best design. 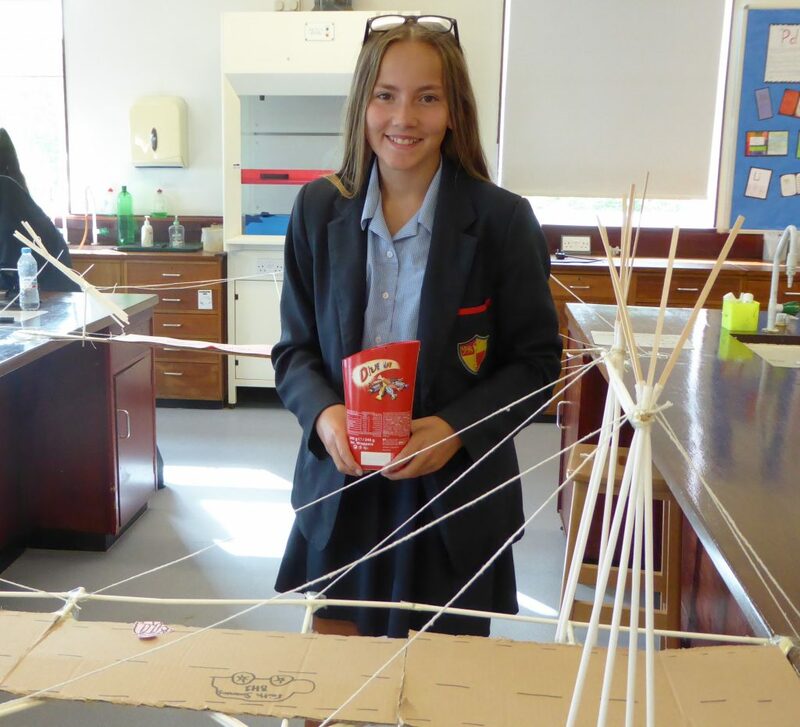 Congratulations to Year 8 students Shamara (pictured), Brooke, Faith, and Mab, Year 9, for their winning bridge. 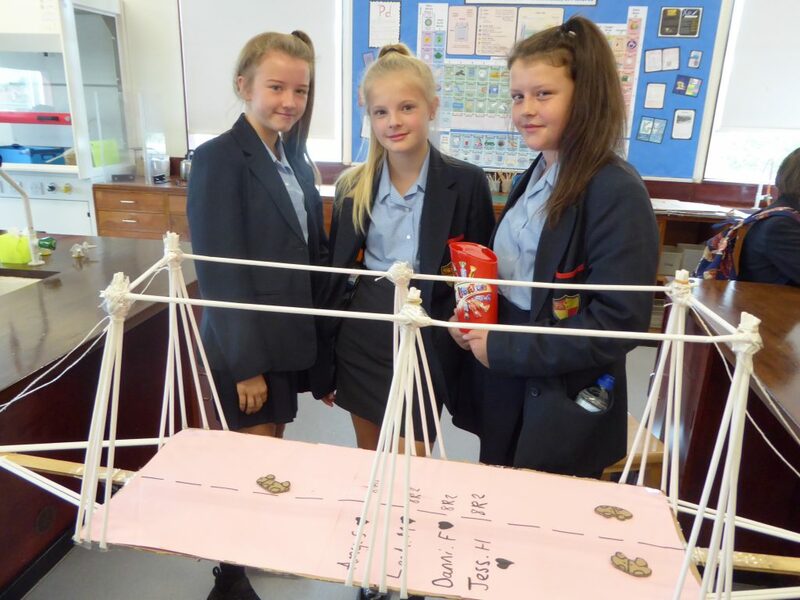 Year 8 students Amy, Leah, Demi and Jess were voted runners-up. Great engineering and team building everyone!